Tiles are an integral part of construction in the contemporary age – both synthetic and natural tiles. They’re cheaper than marble slabs, reasonably sturdy, easier to clean, have more variety in texture and color, and easy to install. Tiles invariably present the problem of cleaning as they are exposed to contaminants. More so, tiles are held in place by grout that consists of a thickened paste or fluid that dries up and reinforces the structure it supports. Grout is usually in the form of plaster and might include additives to make it more adhesive and long lasting. Whereas tiles are generally smooth (even though there are tiles with a rough surface), hard on the surface and conducive to being cleaned by wiping with a cloth or a wiper, grout is, in contrast, rough, porous and absorbent. Cleaning the spaces between tiles where grout is visible is the tricky job. It absorbs a variety of contaminants and materials it is exposed to and might need considerate effort to appear clean. Tiles with uncleaned grout in between present an awful picture. Depending on where the tiles are located, the contaminants might include anything from dirt, food, oils, soaps and detergents. Some materials are naturally easier to clean off than others. It is usually recommended to wipe grout with a wet piece of cloth. A toothbrush might also be used. The water should be preferably warm. 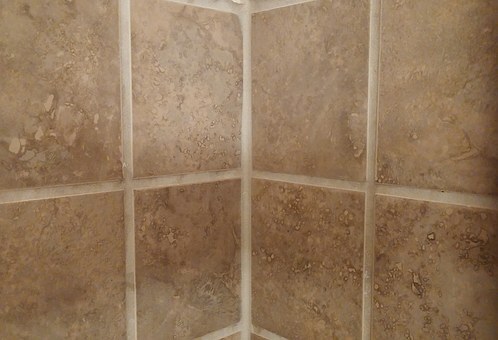 In case of dirtier grout, the water should be mixed with vinegar. However precaution should be taken as most tiles have calcium carbonate as their key composition material and vinegar being an acid (acetic acid) might cause erosion or breakage. With tiles that are less processed than others, a vinegar-water solution should only be sparingly used. Other viable options include baking soda and industrial cleaning chemicals such as bleaches specially designed for the purpose. Looking for a professional when it comes to cleaning you can see this page for such details. While most tiles and the grout in between can be wiped manually, some particularly dirty ones might need mechanical apparatus. It’s worth investing in a mechanical grout cleaning device if you have lots of tiles the contaminants are especially dirty or the tiles are located in the high traffic area. They save the effort needed to manually wiping tiles with a piece of cloth or a toothbrush and perform a better job, too. While they’re used to be only a few major brands manufacturing such equipment in the past, many small startups and Chinese companies have entered the industry and offer competitive prices and specifications these days. Professional grout cleaning services are also an option and their availability may vary by area. Tile and grout cleaning services are usually a subset of house cleaning services generally, as opposed to being a standalone service. The time required to clean tiles and grouts depends on the size of the property and the condition they’re in, but would usually take anything around three to five hours.